Terry Lee Doty, 73, of Toledo, Ohio, passed away on Monday, October 15, 2018. He was born on November 6, 1944 in Toledo, Ohio to Donald and Donna Doty. Terry retired from Jeep after 30 years of service as a production worker and union steward. After his retirement he lived his dream of owning a flower shop, Second Nature, located in Minnesota. His designs were recognized by the city officials and he was honored with the task of decorating the capital building for Christmas. 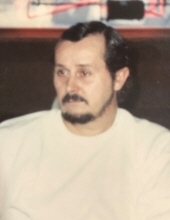 Terry is survived by his son, David Doty; daughter, Bonnie Doty; grandson, Lorenzo Vargas; brother, Donald (Don) Doty; and sister Sandra (Sandi) Elliott. He was preceded in death by his sister, Patricia (Pat) Antoszewski, and former wife, Virginia (Ginny) Bushroe. Services will be held at 2 pm on Saturday, October 20th at Erie United Methodist Church, 1100 East Samaria Road, Erie, MI, with a luncheon immediately following. To plant a tree in memory of Terry L. Doty, please visit our Tribute Store. "Email Address" would like to share the life celebration of Terry L. Doty. Click on the "link" to go to share a favorite memory or leave a condolence message for the family.